When I was growing up, many little girls were still dreaming of the prince coming to save them, the princess. They may not have envisioned him dressed in medieval prince attire, but most likely they did have on a princess outfit. Whether girls had positive or negative images of men, somewhere they may have believed that their knight in shining armor was coming one day. Let’s see, my princes ranged from Michael Jackson somehow finding me in a crowd of thousands at a concert, locking eyes with me and realizing that he couldn’t live without me, to meeting Johnny Depp some kind of way (in his 21 Jump Street days *whispers* and secretly now too) and him realizing that he couldn’t live without me to Reggie Theus, whose poster I hung proudly on my wall in appropriate rotation with Michael Jackson and Johnny Depp, who would see me and well, realize that he couldn’t live without me. It feels like there is a theme here, but I digress. Many (I know not all) little girls who grew up without their fathers in their lives or loosely around were raised to take care of themselves and not need anyone, just in case a man was not around. Note that I’ve also come across many women who were raised in a two parent household who were also brought up this way. There was a real conflict brewing in the independent girl camp and no one saw it. . .until now. These strong and independent girls who didn’t need a man to survive are now women. While, as girls, they continued to watch movies and cartoons depicting a girl/young woman being rescued by a boy/young man, they were also receiving messages from the women and men in their lives that they should never count on a man to take care of them. They were told to get smart, buy their own things, handle their own business, etc. What happened? I suspect that many of today’s “strong” women missed the other side of the equation. They learned that they should be self sufficient, not because being whole before meeting a mate would help them to, or because they would know what kind of mate to choose, or because they would find fulfillment in themselves so that they don’t pressure their mate with the task of making them happy or because knowing themselves would keep them from living in the land of make believe, but because so if the man they choose one day fails to meet their “fairytale” expectations, they know what to do. What now? Communicate to reeducate one another about our expectations, concerns, fears and hopes. I believe the remedy for this problem has a few ingredients: communication, a willingness to invest in another person by giving the appropriate feedback, patience, a reminder to the woman from the man that he is not trying to steal her independence, but rather create a lasting partnership where both parties have the opportunity to rest every once in a while because the other will have their back. 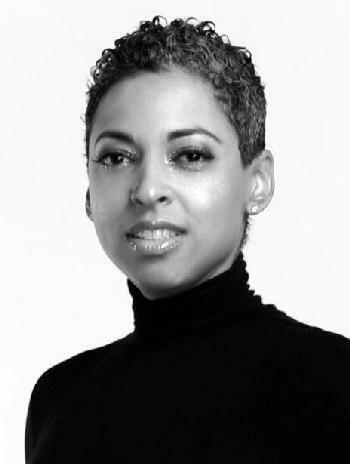 Monica Cost is communications strategist, brand manager and respected corporate and motivational speaker. She is the President and Founder of Evidently Assured, a communications and brand management firm. Email her at: LiveYourTruth@MonicaCost.com. Follow her via Twitter: @monicacost and Facebook.com/monicahairstoncost.